Short Product Description: A uniquely designed, unscented pink Camo soap for the lady hunter who wants to be clean and scent free before she takes aim. 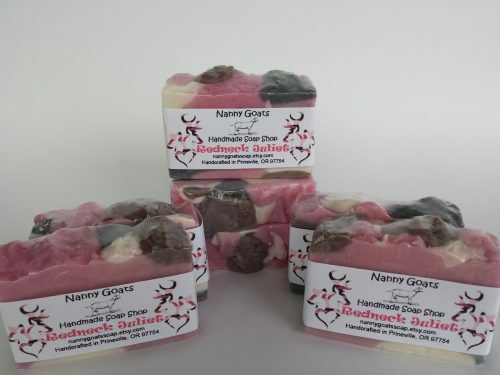 For the lady hunter needing that unscented clean or someone who just likes the look of pink camo these are very cool bars of soap. Made with the conditioning benefits of goat’s milk and olive oil for skin loving gentleness that won’t dry out your skin, leaving you stepping from your shower feeling as if you’ve just pampered your skin. 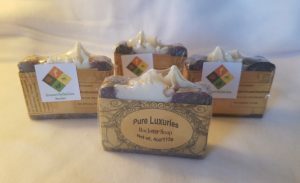 These are large 5.5-6.0 ounce bars of skin nourishing goodness with a lovely, thick, creamy lather. They stay hard in your shower and will last a good long while in your shower but we recommend not allowing them to sit in water or a watery soap dish.